On March 16, journalists of the Crime and Corruption Reporting Network (KRIK) in Serbia received numerous phone calls warning them that the editor of a pro-government tabloid had appeared on popular nationwide TV station TV Pink, where he promised to reveal the following day “what [KRIK editor-in-chief] Stevan Dojcinovic and KRIK are all about”. The tabloid, the Informer, then published a series of allegations about Dojcinovic’s private life, including photos of him with sources in previous KRIK investigations, and it labelled him a “criminal” and a “spy”. 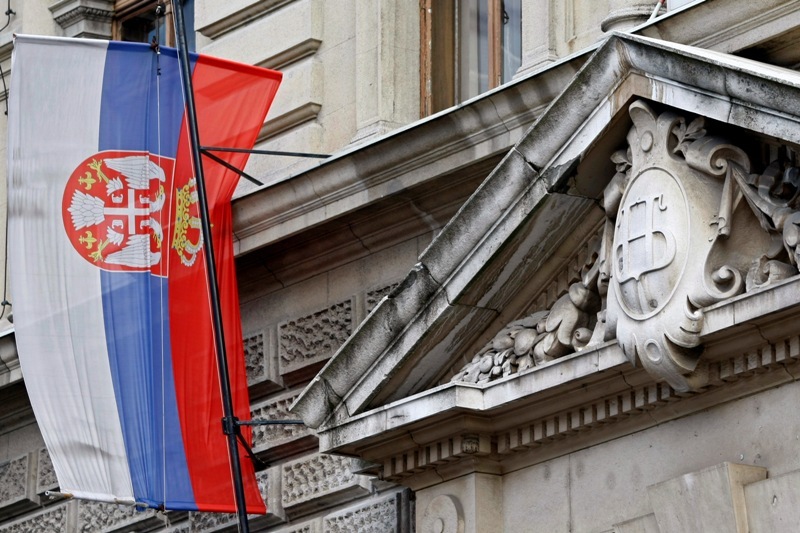 The articles even included details about an ongoing – and not-yet published – investigation KRIK was conducting into the property holdings of Prime Minister Aleksandar Vucic’s family. The Informer and TV Pink often work in tandem when attempting to delegitimize independent journalists. The tabloid’s editor, Dragan Vucicevic, is a frequent guest on TV Pink, where he questions other news organisations’ loyalty to Serbia and its government. Although this was not the first smear campaign against Serbian independent media, Dragan Janjic, vice president of the Independent Journalists’ Association of Serbia (IJAS), said it was “a new approach by authorities… very organised, very loud”. KRIK and other independent media personnel say they want to know how the Informer received information about the unpublished investigation. Some observers speculate that KRIK journalists may have been under surveillance by government intelligence agencies. Janjic explained to IPI that Serbia’s ombudsman has a formal procedure that journalists or media outlets can use to follow up on claims that government officials know what will be published. He described one incident in which Serbian Interior Minister Nebojsa Stefanovic said on television that he knew about a story that a journalist was pursuing. After an investigation into Stefanovic’s statement was requested, the ombudsman told Janjic that someone had provided a tip to a government official. Janjic said that Serbia’s media laws are in line with EU regulations for freedom of the press, but “the implementation is very bad”. Government officials have said that they cannot do anything to prevent smear campaigns or stop them from playing out, as that would interfere with the tabloids’ freedom to publish. The campaign targeting KRIK was unique, because smear campaigns targeting journalists normally occur after publication. The aim often seems to be to shift the focus of discussion from the incriminated officials to the credibility of the journalists. 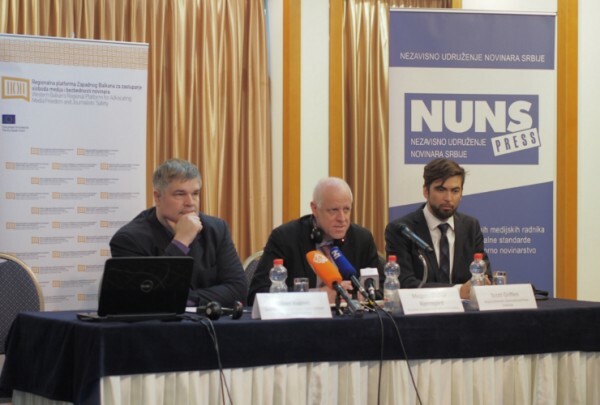 The non-profit Balkan Investigative Reporting Network (BIRN) and CIJS, among others, were targeted in a smear campaign in August 2015 after BIRN published an investigation into whether Serbia overpaid for a contract with an airline. The Informer, claiming in a series of articles to have revealed BIRN and CIJS’ sources of funding, which included Western European organisations, called the groups spies for foreign governments. However, funders’ identities had long been publicly available on both groups’ websites. Following the campaign, BIRN faced more barriers to its ability to access information. Smear campaigns also eat up valuable time. Instead of conducting journalism, those targeted spend time appealing for assistance from national and international organisations, and gathering information related to the allegations. “We were not working on stories, but on defence,” Vasic recalled. However, one possibly positive by-product of the negative coverage is that it gave KRIK increased exposure and a higher profile. Vasic recounted how during the smear campaign in March, KRIK was also holding an online donation drive on its website. Individuals had the option of donating to KRIK via PayPal or doing so at their local bank. 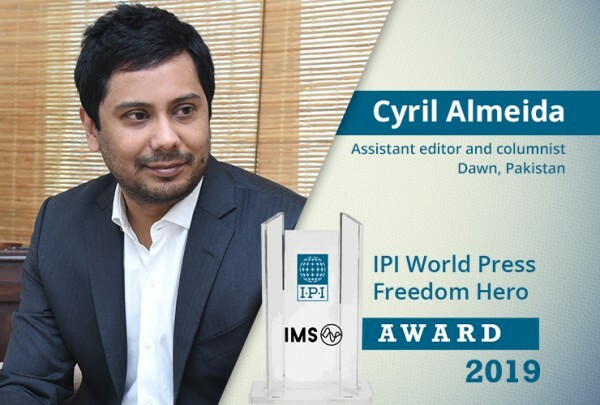 In recent years, pro-government media have pushed smear campaigns against independent media outlets every day or at least once per week, Zoran Nikolic, executive editor of Cenzolovka, observed. However, IPI’s conversations with Serbian journalists indicate an ebb in that tide, as the number of negative campaigns appears to have diminished in advance of parliamentary elections set for Sunday. “They’re doing their best to present themselves as polite, civilised, because they’re confident they will win [nationally], but locally they’re not sure,” Nikolic said. Nevertheless, the smear campaigns have not disappeared completely. Following KRIK’s coverage of Serbian businessmen named in the “Panama Papers”, a massive leak of data from Panamanian law firm Mossack Fonseca, the Informer published another set of allegations against KRIK. The tabloid again claimed that KRIK was affiliated with foreign governments and erroneously blasted the group for making accusations against a local politician, even though he had not been the subject of KRIK’s coverage.